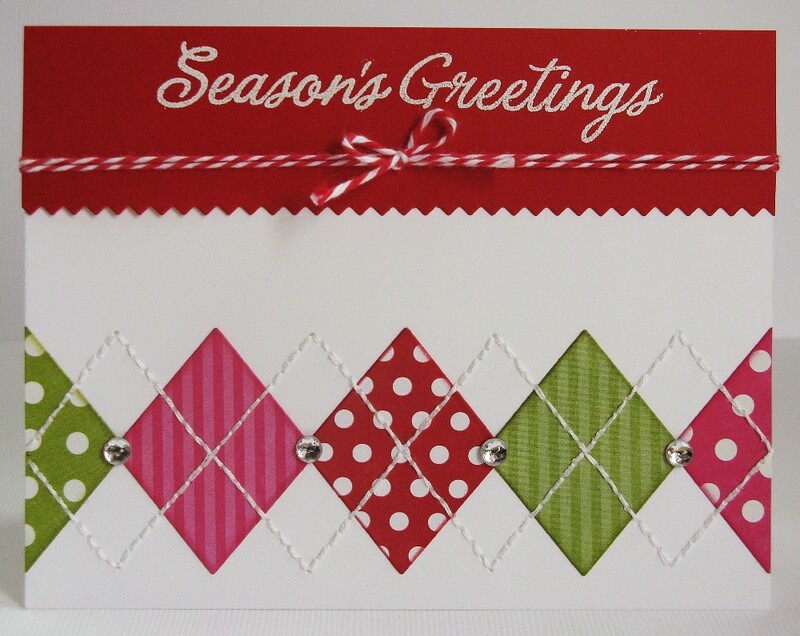 I'm back with another card today using everyday supplies for a trendy holiday card. I mixed some basic stripes and polka-dots from Canvas Corp. and Echo Park, cutting them into diamonds using a Spellbinders die. To create my stitched argyle pattern I cut an extra diamond to use as a template with a paper piercer, making sure to center it between the diamonds. After my holes were poked I hand-stitched the lines with a needle and embroidery floss (a great activity to do while watching TV).